Breakfast with the family, especially on a Sunday, is as exciting as dinner with the family on special occasions, to me at least. 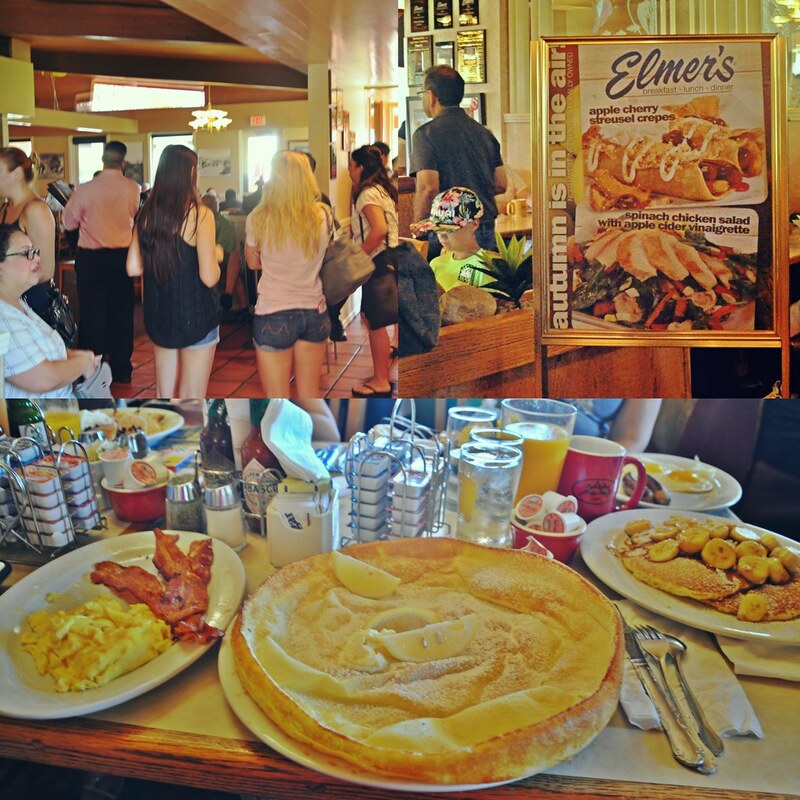 But what makes it doubly filling is when breakfast is as good as pancakes from the legendary Elmer’s Restaurant. 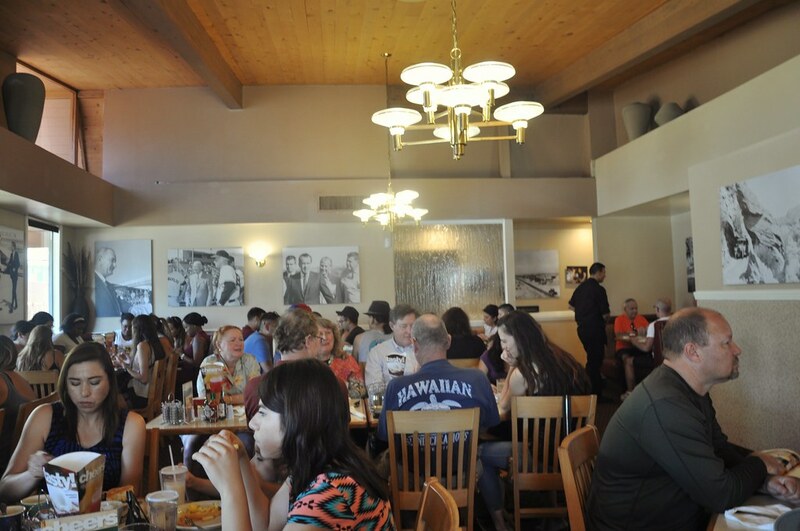 We were in Palm Springs one Sunday, and after trekking the Lost Palm Oasis Trail in Joshua Tree National Park, trying out classic German pancake at Elmer’s was another adventure in itself. Fluffy, angry pancake, also known as a Dutch puff, or a Bismarck, is lighter than it seems. It’s actually flat on the center and heavenly with a squeeze of fresh lemon. I’ve never had pancakes so light, yet satisfying. The place was bursting. I looked around and pancakes of all sorts with fruits, or eggs and breakfast meats like the smoked bacon I had were so alive. There’s also more like omelettes, sandwiches, steaks and chicken. The menu is actually extensive. And they serve lunch and dinner. Elmer’s has been around since 1960. 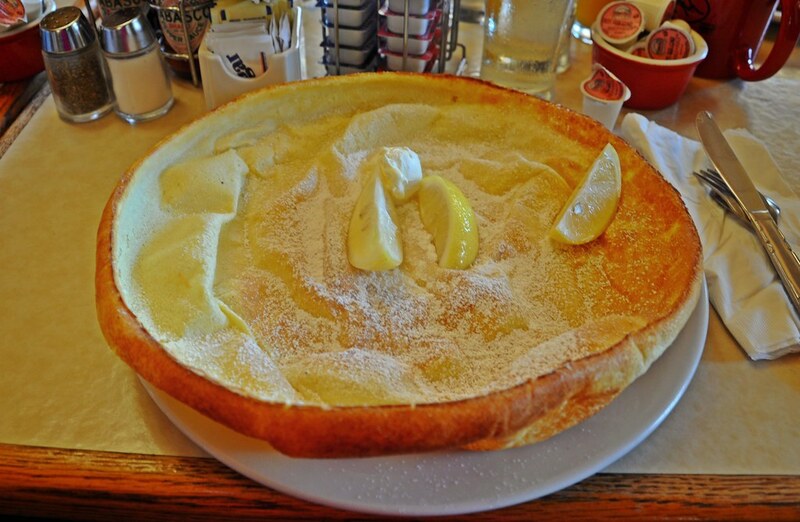 The secret pancake recipe has earned them fame and more stores in Northwestern United States, and Canada.